Quebecs Suites are indulgently spacious, the best in the city. 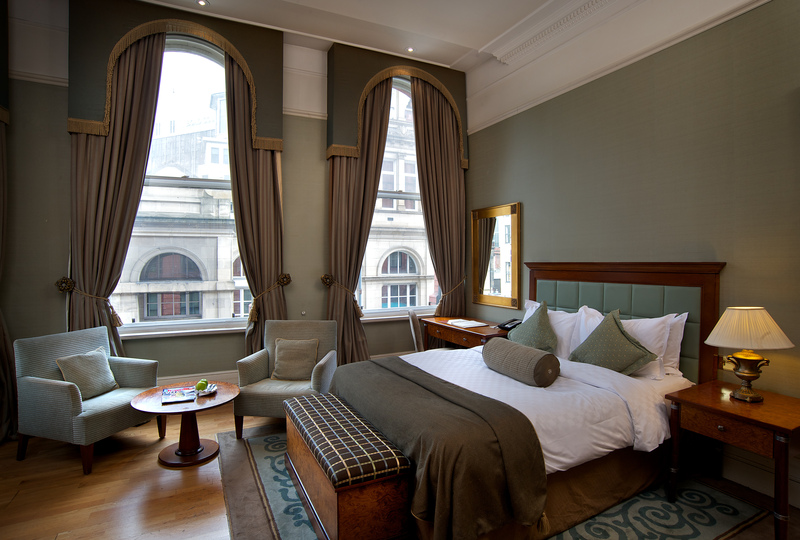 With all the comforts of Quebecs rooms but spacious enough to provide a real sense of separation between the sleeping and seating area. 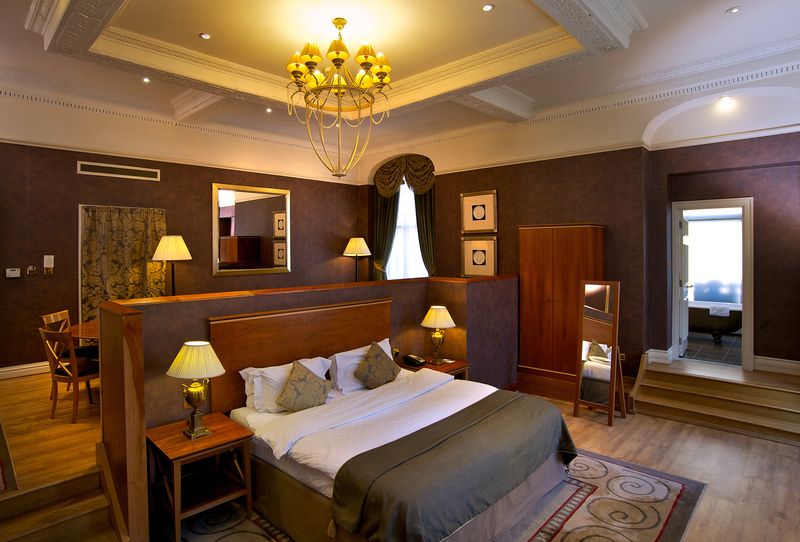 Additionally equipped with ambient lighting, Nespresso coffee machines, ipod docking stations, an additional phone handset and an additional 32″ Freeview flat screen television. 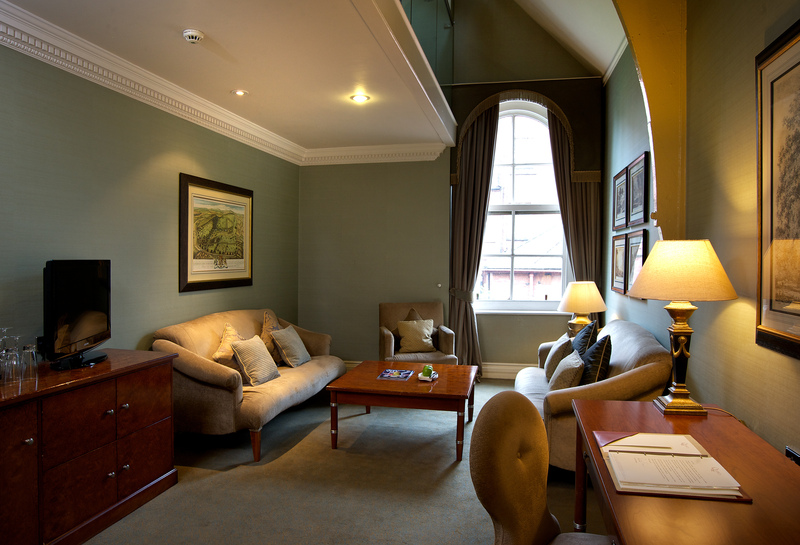 Suites are allocated on arrival. If you wish to guarantee a particular Suite a supplement may apply. Please contact the Reservations Team who will be happy to assist you with your booking 0113 244 8989. More than its luxury King Size bed, spacious bathroom and intimate seating area, what makes this Junior Suite on the second floor different from all others at Quebecs is its own Balcony, open on three sides, overlooking Quebec Street. Equipped with heating, seating and lighting, have breakfast served here, or start your evening with an al fresco Balcony cocktail; furthermore – a rare delight these days – this open air Balcony is the one place in Quebecs where the indulgence of smoking may be enjoyed without concern. 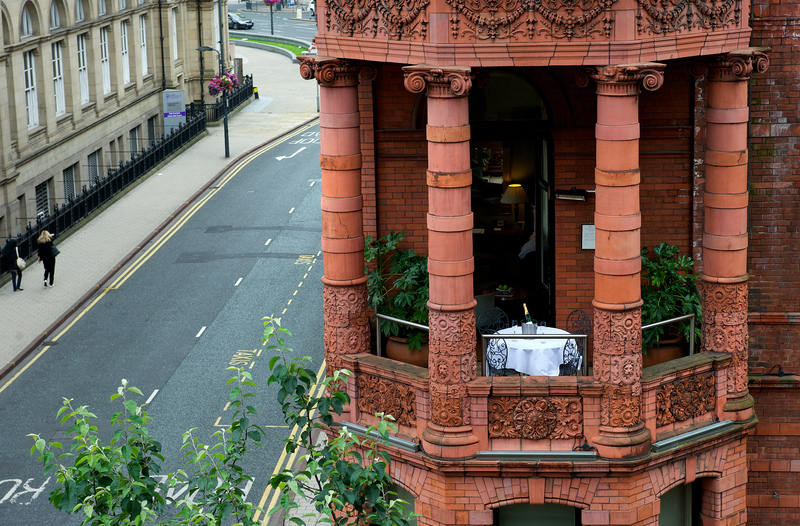 Named after Richard Wainwright (1918-2003) the former Liberal MP for Colne Valley whose wife unveiled the Blue Plaque bestowed on the hotel in 2004 by the Leeds Civic Historic Trust for being one of the city’s most striking buildings. 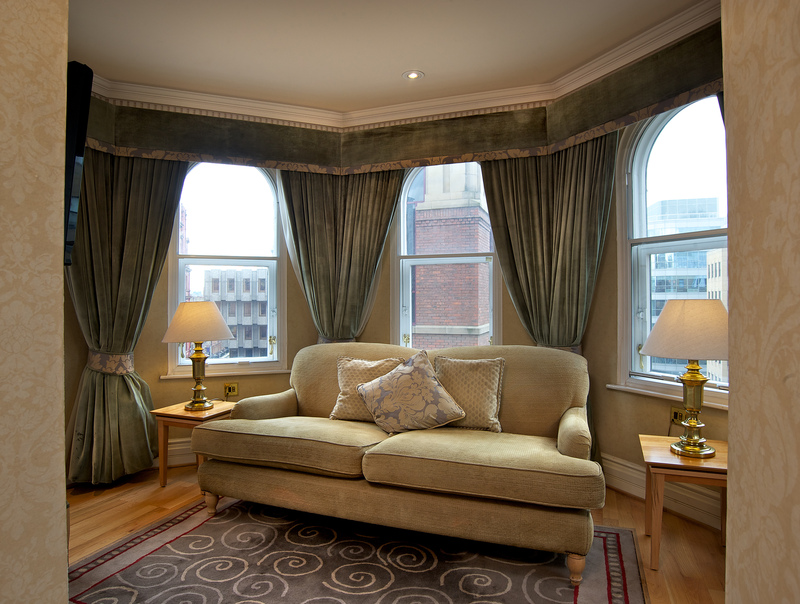 Located on the third floor, the seating area is located in the turret overlooking Quebec Street. 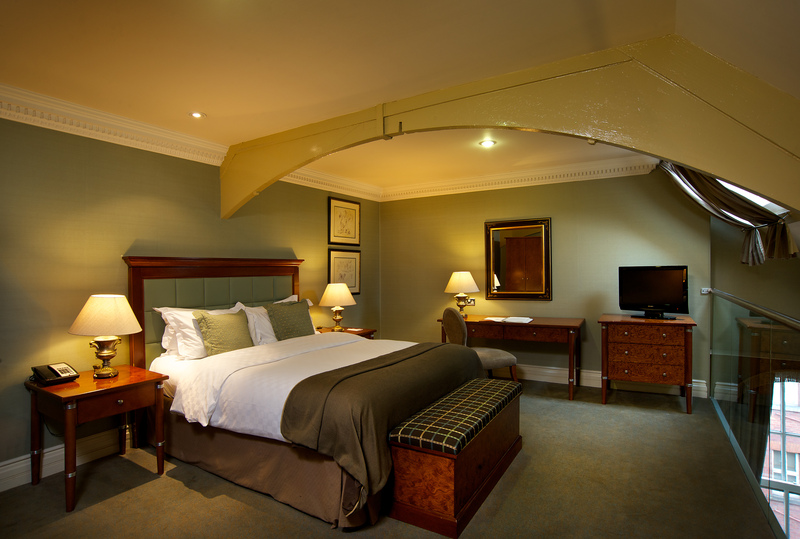 With the luxury of a king-size bed, bathroom with a separate shower and freestanding roll top bath. Named after Sir James Kitson (1835-1911), 1st Baron Airedale, who laid the foundation stone of Quebecs on 12 March 1890. 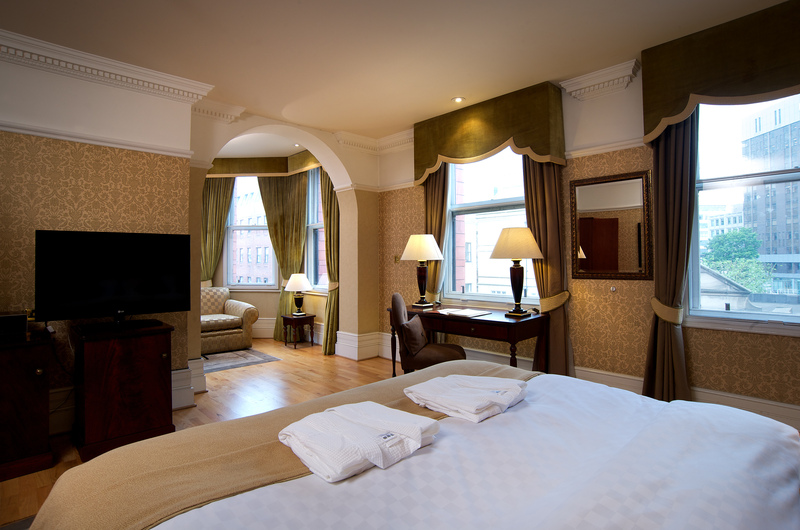 Located on the fourth floor, this suite benefits from the quirky feature of being split over two levels. The seating area benefits from a large sofa and chaise lounge, a substantial work desk and a four seat circular table for dining or meeting. Accessed by a spiral staircase the sleeping area has a king-sized bed and a balcony overlooking the seating area. Named after the architectural partnership who designed Quebecs. Both active Liberals, Charles Chorley was a member of the Liberal and County Club’s Executive Committee and John Connon was the Club’s Honorary Secretary. 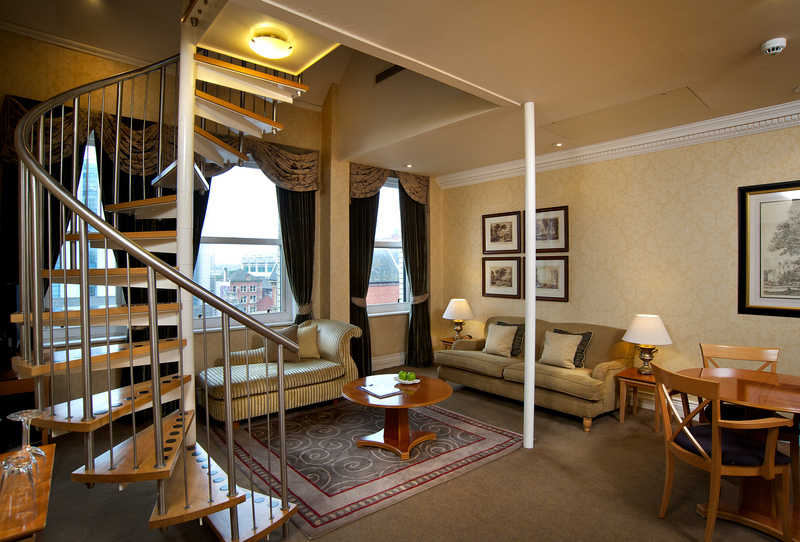 Located on the fourth floor, this suite benefits from the quirky feature of being split over two levels, accessed by a spiral staircase. The seating area benefits from two large sofas and a substantial work desk. The sleeping area has a king-sized bed and balcony overlooking the seating area. The ensuite is furnished with twin sinks and a separate bath and shower. Named after Sir Lyon Playfair (1818-1898), 1st Baron Playfair, a Liberal politician for Leeds South, who was present at the opening ceremony of the Leeds and County Liberal Club at Quebecs in 1891. 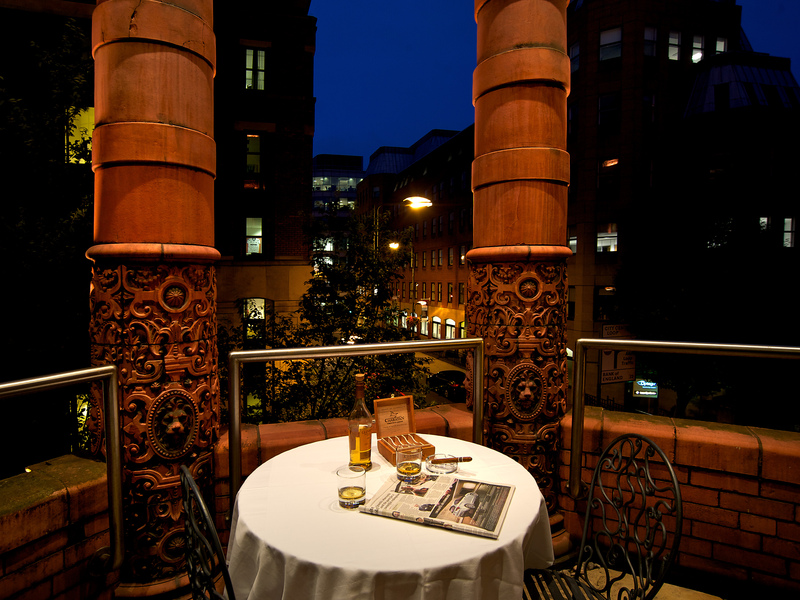 Located on the fourth floor, the seating area is located in the turret overlooking Quebec Street. With the luxury of a king-size bed, a separate shower and freestanding roll top bath. Named after Liberal politician George Robinson (1827-1909), 1st Marquess of Ripon, who formerly opened the Leeds and County Liberal Club at Quebecs in 1891. 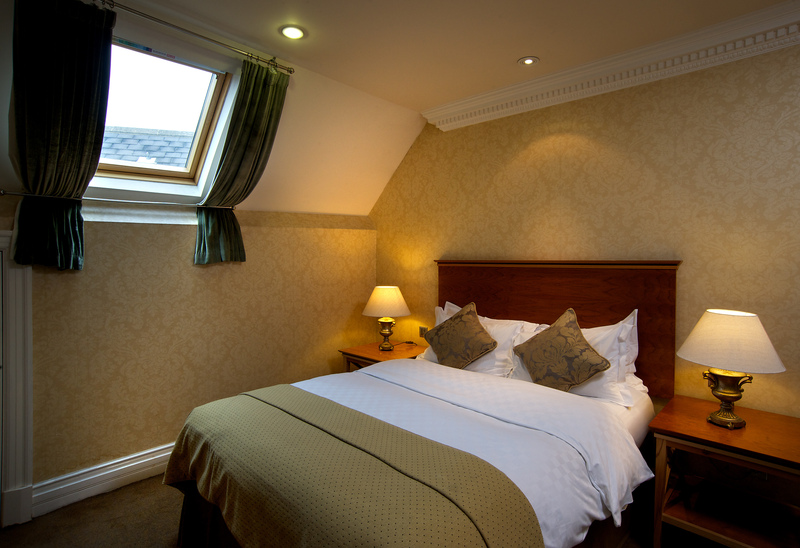 This quirky suite is located in the attic on the fifth floor. 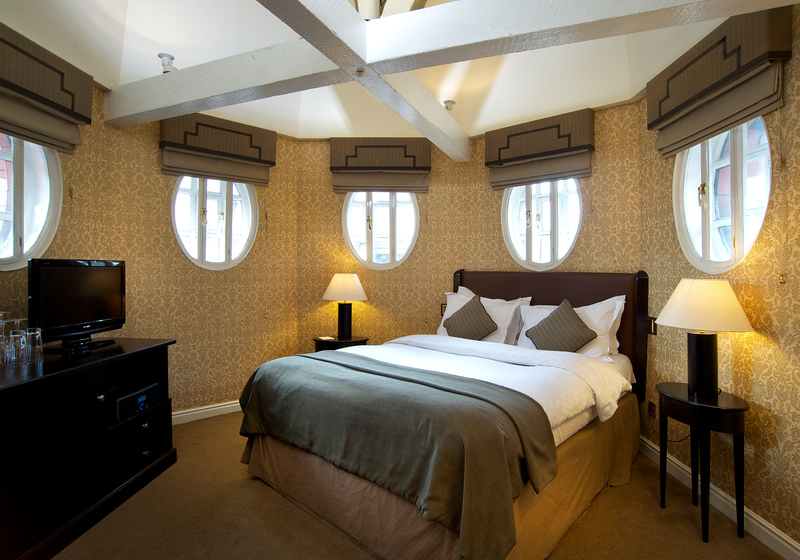 The sleeping area is located in the room at the top of the turret. Open to the eaves with small oval windows you benefit from views of the City in all directions. 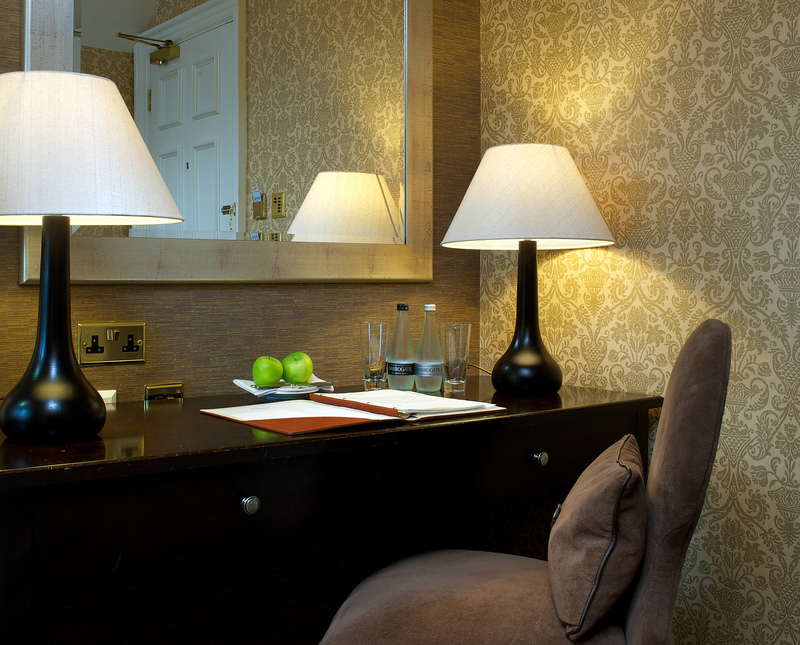 The intimate seating area has a chaise lounge and a substantial work desk. Named after The Right Honourable William Gladstone (1809-1898), Liberal politician, four times Prime Minister and President of the Leeds and County Liberal Club in 1880. 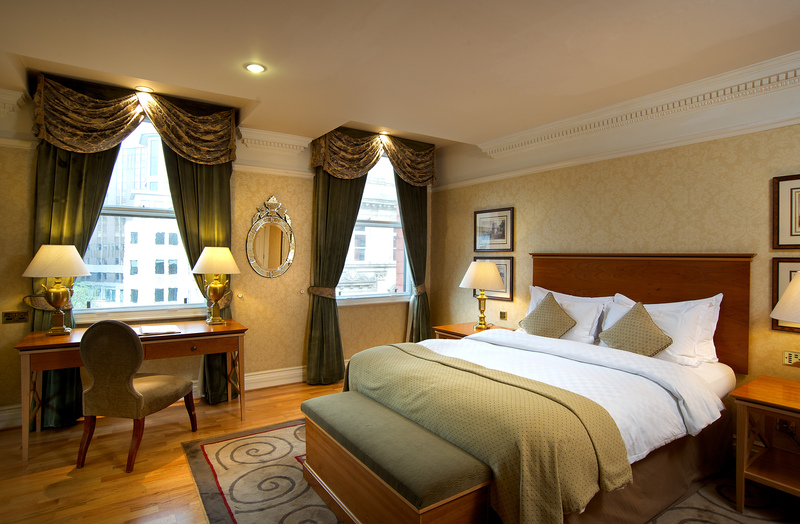 Located on the ground floor over two separate levels, The Gladstone Suite is rather appropriately the grandest suite in the hotel. 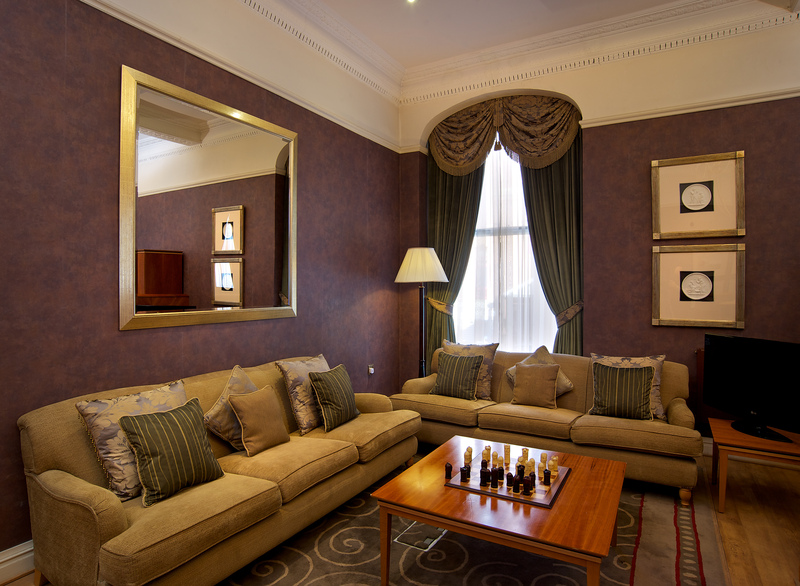 The seating area benefits from two large sofas and a six seat circular table for dining or meeting and a super king-size bed. The bathroom, located in the ground floor of the turret, has twin sinks, a separate shower and freestanding roll top bath.